The Communist League of New Zealand is a New Zealand communist party. The party was founded in 1969 by students from Victoria University of Wellington, and was originally named the Socialist Action League. The new party rejected the more established groups such as the Communist Party as too authoritarian, conservative, and unimaginative, but at the same time, rejected many of the newer communist groups in New Zealand as disorganised and unfocused. It was aligned with the Fourth International (FI), an international grouping of Trotskyist parties. The party achieved a certain amount of public recognition for its role in protests against the Vietnam War, and regularly engaged in protests against adventurist United States foreign policy, in defence of the pro-choice side of the abortion debate, as well as supporting LGBT rights in New Zealand, during the 1970s and 1980s. During those decades, the SAL maintained a newspaper of its own, Socialist Action. According to the National Library of New Zealand serials catalogue, it ran from 1969 to 1988. In the 1980s, the Socialist Workers Party in the United States broke away from Trotskyism, and left the FI. 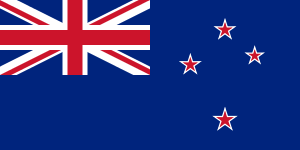 A number of other parties in FI also chose to leave, including the Socialist Action League in New Zealand. Those members of the Socialist Action League who did not agree with this departure from Trotskyism and the FI were expelled or resigned. Later, the Socialist Action League renamed itself the Communist League, following the pattern of the other pro-SWP parties that had left the FI. Today, the party is still associated with the Socialist Workers Party's so-called Pathfinder tendency. In the 2002 elections, it stood two candidates, and gained their best result in 12 years with 171 votes. In the 2005 elections it also ran two candidates, but received only 107 votes. The party stood two candidates in the 2008 election, who gained 58 and 16 votes. The party also stood two candidates in the 2010 Auckland City Council elections. The party stood Annalucia Vermunt as its candidate for Mayor of Auckland at the 2013 local body elections. Vermunt received 856 votes. The party stood Baskaran Appu as its candidate for City Councillor in the Manukau Ward. Appu received 1,154 votes. The party stood two candidates in the 2014 election. The League's two candidates were Felicity Coggan, who received 92 votes in the electorate of Maungakiekie, and Annalucia Vermunt, who received 43 votes in the electorate of Manukau East. These figures represented 0.28% and 0.17% respectively of the total valid vote in those seats. The 92 votes received by Coggan was the best result for the League in a General Election since 2002. ↑ "Communist League announces candidates for 2008". Scoop Media. 2008-10-01. Retrieved 2008-10-01. ↑ "Official Count Results -- Maungakiekie". New Zealand Ministry of Justice. Retrieved 2008-12-26. ↑ "Official Count Results -- Manukau East". New Zealand Ministry of Justice. Retrieved 2008-12-26. ↑ "SuperCity: Communist candidates spread word". New Zealand Herald. 2010-09-10. Retrieved 2010-09-10. ↑ "Communist League announces candidates". Scoop. 2014-08-10. Retrieved 2014-08-10.